The visionary, Conchita, is the only one who knows the date. The visionary, Conchita, will reveal it 8 days in advance. It will be on a Thursday evening, at 8:30pm (Spain time zone). It will happen within the year of The Warning between the 8th and 16th of the Months of March or April or May. It will be on the Feast Day of a young male Martyr of the Eucharist. The Martyr will not be Spanish. It will coincide with a great rare event in the Church, but will not be a Marian feast day. It will be visible to all in the Village of Garabandal and the surrounding mountains. The sick who are present will be cured and the incredulous will believe. It will be the greatest miracle that Jesus will have performed for the world. There will not be the slightest doubt that it comes from God. It will be able to be filmed and televised. The Pope will see the Miracle wherever he is located. It will last for about 15 minutes, and after that, an indestructible, supernatural Sign will remain at the Pines in Garabandal forever! Recently, I wrote a special commentary titled, “The Great Warning, Islam, and the Divine Plan” (https://maryrefugeofholylove.com/2017/08/12/special-commentary-the-great-warning-islam-and-the-divine-plan-by-a-soul/), and I spoke about the Al-Masih ad-Dajjal, who is the “antichrist” of the Koran. I wrote how the Dajjal is considered the “arch-enemy” of Allah (the god of Islam) and how everything that the Dajjal does in the End Times is seen as the opposite of what it is by Muslims. So, despite whatever the Dajjal does to convert people to Christianity, his actions are not to be trusted. For example, the experience of the Great Warning (Illumination of Conscience) should not be trusted, because it is caused by the Dajjal. And as I wrote that commentary, I realized for the first time that the great gifts of the Great Miracle and Great Sign of Garabandal will be rejected by many Muslims, because they will be seen as performed at the hands of the Dajjal. This made me sad, because I know what the Great Miracle and Great Sign of Garabandal are; and truly, these two great gifts of God have the power to convert the entire world if people just allow their hearts to be touched by God. Particularly, the Great Sign of Garabandal. I just keep thinking about it and keep asking myself, how could someone not convert upon seeing it? And yet, satan has so twisted the minds of radical Muslims against the true God, that even how great the Sign of Garabandal is, people will still choose the lie of satan. It is sad, because in the course of writing that special commentary, I finally accepted that it is going to take the cruel martyrdom of two innocent people to finally open the eyes of the Muslim people. That many Muslims will not believe until they witness the resurrection of the Two Witnesses. And thinking this fact made me sad, because who wants two innocent people to die? I mean, seriously, whoever wants innocent people to die? And to have to suffer such cruel martyrdom, that is just really sad to me. But, then the Holy Spirit reminded me that Our Lord, Jesus Christ, was the most innocent person ever to die, and yet, it is only through His Passion, Crucifixion, and Resurrection that mankind is saved and the Gates of Heaven are finally opened to all the righteous children of God. And so, I accepted this fact, but still, it is sad to think that anyone has to die horribly just to prove the Truth. But, Jesus comforted me. He is allowing me to provide people another clue about the Great Miracle and Great Sign of Garabandal. I have already provided a few clues through this writing: Clues About The Great Miracle And Signs Of Garabandal And Medjugorje (https://maryrefugeofholylove.com/2017/05/10/clues-about-the-great-miracle-and-signs-of-garabandal-and-medjugorje-by-a-soul/). However, although this is a obvious clue to me, I know that it will not make sense to most people until they actually witness the Great Miracle, and in particular, the Great Sign. So, most people will not have their “eureka” moment until after the fact, but I am providing the clue because it is important for people to think about in advance. Meanwhile, here are some supporting clues about this mystery that people can ponder. The Great Miracle IS the Triumph of The Immaculate Heart of Mary and proves that hell shall never prevail against the Catholic Church established by Our Lord, Jesus Christ. When they have finished their testimony, the beast that comes up from the abyss will wage war against them and conquer them and kill them. Their corpses will lie in the main street of the great city, which has the symbolic names “Sodom” and “Egypt,” where indeed their Lord was crucified. Those from every people, tribe, tongue, and nation will gaze on their corpses for three and a half days, and they will not allow their corpses to be buried. The inhabitants of the earth will gloat over them and be glad and exchange gifts because these two prophets tormented the inhabitants of the earth. But after the three and a half days, a breath of life from God entered them. When they stood on their feet, great fear fell on those who saw them. Then they heard a loud voice from heaven say to them, “Come up here.” So they went up to heaven in a cloud as their enemies looked on. At that moment there was a great earthquake, and a tenth of the city fell in ruins. Seven thousand people were killed during the earthquake; the rest were terrified and gave glory to the God of heaven. The second woe has passed, but the third is coming soon. Does any other institution have that promise? Has it been given to any nation or union of nations? Only the Church has the promise, “Hell shall not prevail against you”. As hell pours out its fire, and as Satan seeks the total destruction of the world, he knows that only the Catholic Church has Jesus’ promise. “Prevail” does not just meant “to survive”, it means to overcome, to conquer, and to gain the victory. If the world were just a group of nations, even strong nations united perfectly, Satan could still win the victory. However, the Church exists. It is in the world (as Jesus said). It lives in history, just as the nations do. It suffers. It bleeds. It sorrows. It lives and it prays. That is the Catholic Church. Someday, in the very midst of the great battle that lies ahead, when Satan attempts to reduce the world to ashes, the Church will also prevail. The Catholic Church is the only hope for mankind and Satan knows Jesus’ promise. The events move quickly. The threats grow greater. The urgency of the kingdom of heaven grows greater because the time frame leaps forward. Hell’s strength multiplies and heaven is kept at bay. What must be done so the heavenly fire is released? I must speak to the Church. O Church, you have no armies, no weapons and no generals. Yet, with you and you alone, lie the fires of world peace. Yet, you do not understand and you do not believe. So I must stir you by my words. O Church, you are the bride of my Son. You are the light of the world. You have a great destiny to fulfill in these years. The world has set you aside, as if you were an orphan. The world does not listen to your teachings and does not follow your ways. Therefore, it plunges into the kingdom of hell. Only you can save earth from becoming a hell. I place in you the saving of the world from the terrible events that have come so close to fulfillment. I have revealed these events to many, especially the visionaries of Medjugorje. I have spoken of my plan almost 100 years ago at Fatima. What I am saying is not new or surprising. I am now using these locutions as my pulpit to the world. The world is plunging into hell’s darkness and only the Church can enter the center of that darkness and destroy it. The world is experiencing the fires of hell and only the Church can enter these fires and destroy them. Jesus’ death on the cross was the great moment when he entered the center of hell’s powers. There will also be a modern moment, when the Church, in the person of the Holy Father, deliberately accepts its role of entering into the center of hell’s destruction. That moment must be prepared for by devotion to my Immaculate Heart. This is not a new message but greater details are revealed. …This is my message. This drama of death, wars, terror, destruction, the division of countries, the millions who must flee their homes, the intense and useless sufferings, the failed plans, the weak initiatives, and the quick spread of evil will continue and become even more serious. If allowed to go to its conclusion and end according to Satan’s script, nothing would be left. The only hope lies in the Church because there I will begin my intervention. I will enter this drama only through one door, the Roman Catholic Church. This will be evident to all. There will be signs from the very beginning, as clear as the sun rising. In the beginning, the world will only know that the Woman has begun to act. What I will do and how I will accomplish this will still be hidden. By that time, the darkness will be so great, that all will receive and welcome this rising sun. This hope and welcoming is extremely important. Then, I can accomplish all that I intend. The vision has its time. The Fatima vision will be the culmination of the drama. The death of the pope, the bishops, priests, religious and laity in Jerusalem will be like a new Calvary, the greatest moment of darkness before the light of the resurrection. After the death of the pope, the forces of evil will be spent. The tides will be reversed and will flow in the opposite direction. I will have gained the victory, the purification of the human race in the most merciful way of all. 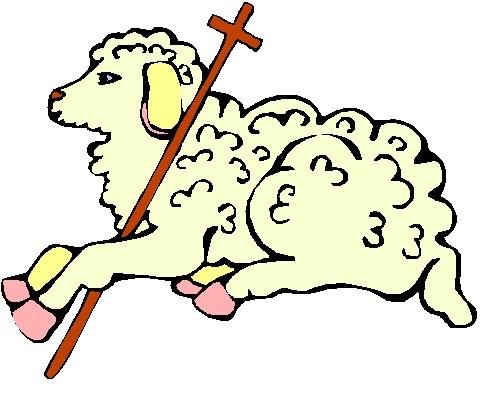 The pope will take upon himself the sins of the world and relive the great mystery of the Lamb of God. Comment: This locution is a very deep revealing of both the events and their meaning in God’s plan. Our Lady alludes to the saying in Habakkuk, “The vision still has its time, presses on to fulfillment and will not disappoint. If it delays, wait for it. It will surely come, it will not be late” (2:3). …Hidden deeply within human history is another power, the heavenly Father’s Plan. This was inserted into the world at Bethlehem with Jesus’ birth and came to its fullness with his victory on the cross. The Resurrection assured its permanent abiding. This victory is so imbedded in history that no power, no matter how great or extensive, will ever remove it. This power flows in the hearts of the faithful and comes forth in the cultural structures of churches and schools. More important, this power touches everyone and raises up those who will lead the world. Now, I speak of the great mystery. The power of the Resurrection must burst forth, like water crashing through a mighty dam. Its rivers must flow everywhere. All must change. Nothing else suffices. This is the mystery of my Immaculate Heart and the promises of Fatima. The rivers of Resurrection power will flood the earth. It is late, very late and only these waters can save distracted mankind from Satan’s powers. I want to share an important prophecy (see below for the entire messages) from the Book of Truth given to 7th Messenger, Maria Divine Mercy, by Our Lord, Jesus Christ, and His Blessed Mother. It is a delayed prophecy as it was first revealed to take place in Spring 2014. But, it has not occurred yet, and so I want to comment on it, as I know things now. The prophecy is that the Blessed Mother will make one last appearance at all Church-approved Marian grottos over the centuries. She specifies Lourdes, Fatima, La Salette, and Guadalupe, by name, but there may be others. She also mentions by name Garabandal, which is still pending approval by the Catholic Church. And the Blessed Mother states that She will appear to chosen souls as the “Mother of Salvation” which is Her depicted as Co-Redemptrix with a Crown of Thorns on Her head. 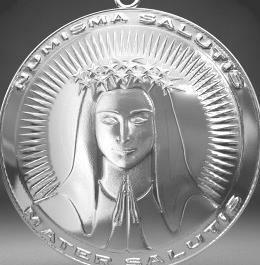 It is the image that is used on the Medal of Salvation given to Maria Divine Mercy as part of the Book of Truth. And Her appearance as the Mother of Salvation is to confirm the Book of Truth as the last mission of its kind given by the Most Holy Trinity for the salvation of mankind. Now, the prophecy was supposed to begin in Spring 2014, but obviously, its fulfillment has been delayed. I believe that the prophecy will still take place, but I want to comment on it, because of things that I know now. I have important thoughts that I want to share. As blog followers know, in January 2017, I was told several things by St. Gabriel the Archangel while enduring much intense spiritual warfare. And after several months of discernment, I finally started to reveal what told to me in several commentaries after Easter. And part of what was revealed to me, is the forthcoming Great Miracle of Garabandal. When I was told what the Miracle will be, I was shocked, because I never thought that I would ever receive such a grace (after all, I am a nobody). But, I accepted the grace, and although I was never told to keep it a secret, prudence dictates that I do so. I was never shown a vision of the Miracle, so I do not know all the mystical events surrounding it, etc., and to be honest, I do not claim perfect discernment, so I have to be prudent about the limited things that I was told. All I do know is that it was revealed to me, in order to help build up anticipation and suspense for it—so many people will go to witness the Miracle and so the Miracle will be broadcast throughout the world for the conversion of souls. And also I know that I will find out more at the Great Warning, as I will understand more once I experience what happened to me last January again, but through the Holy Eyes of God. 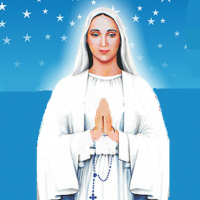 Now, one of the things that I have shared, is that when people witness the Great Miracle of Garabandal, the experience will confirm all genuine Marian apparitions that have taken place throughout the centuries, both approved and unapproved. The Miracle will even confirm the authenticity of Holy Love Ministries. Yes, that is (pleasantly) surprising, but the Miracle is really huge—it covers every aspect of the Catholic faith—it is that huge. But, I was only told what it is and not shown a vision. Firstly, I do not know if this one last appearance of the Blessed Mother at Marian sites will take place before or after the Great Warning. However, if it does not occur before the Great Warning, then it will definitely take place after it. Basically, I shared that the Great Warning is prophesied to take place between September to February of an unknown year; and then, the Great Miracle of Garabandal is supposed to take place in either March, April, or May, within a year of the Great Warning. So, based on these facts, obviously, there is a short duration of time between the Warning and the Miracle—far less than a year apart. 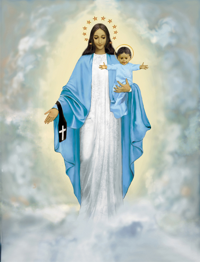 Now, knowing that these final apparitions are promised to happen, I wonder if the Blessed Mother will appear at Her favored sites during the short window of time between the Warning and the Miracle(?). As a special gift to build up people’s faith for all the masses of people who will convert due to the Warning and to build up suspense for the Great Miracle(?). I could easily see the Blessed Mother appearing one last time at Her favored sites in the order that She appeared at them throughout the centuries. So, for example, Guadalupe, then Lourdes, then La Salette, Fatima, etc., all the way until Garabandal. Then, the Blessed Mother would appear during the Great Miracle, as I do not think that She would make a separate appearance beforehand, etc. That is pure speculation by me, as the Blessed Mother could do so—have two Miracles associated with Garabandal after the Warning—and not simply one—God Is Generous after all, but I do not suspect it. I will leave that decision up to God. Meanwhile, I do want to say that when the Blessed Mother begins to appear at Her favored sites, I do not believe that they will be short appearances of only 15 minutes, etc. Rather, there is actually good precedent for appearances of the Blessed Mother lasting several hours. For example, at Knock, Ireland, the Blessed Mother appeared silently for two hours; and at Zeitun, Egypt, the Blessed Mother made silent appearances of significant duration over the course of three years. Her longest silent appearances lasted eight hours on the roof of a Coptic Church at nighttime, etc. Finally, regardless of whether this prophecy is fulfilled before or after the Great Warning, it will be a wonderful gift from Heaven to the world. It will be such a great blessing for many people, which will confirm the Book of Truth as being authentic. I look forward to hearing people’s stories. My dearly beloved daughter, when My Mother makes one final appearance, at Marian apparition sites everywhere, you must know then that the world will turn and run to Me at last. It is through My beloved Mother that more souls are brought to Me. Her role has always been to serve Me for the good of man. And now, My Mother’s role, as Co-Redemptrix, will be well and truly understood at last. I will give every soul the opportunity to witness My Powerful Intervention, so that I can convert them. Through conversion, I can save millions. The Promise of Salvation was made by Me and fulfilled by My death on the Cross. Now, I will gather the souls I will draw to Me through this Mission and spread the Truth of My Word everywhere. Those who were never given the Truth will be presented with it for the very first time. Those who were given the Truth, but who have forgotten it will be reminded of My Promise. Those who do know the Truth, but who have changed it in order to suit their own desires, will be reminded that there can only be one Truth. I bring humanity the Truth at a time when their minds are confused, their souls torn with doubt – but I will ease their fears. Only I, Jesus Christ, their Saviour has the Power to intervene like this. Only I have the Power to bring them peace and deliver them the salvation, which rightly belongs to them. All the strands of this Mission are being drawn together to form a pattern. Then, when the various parts are linked and fitted together, like the pieces of a jigsaw, when all the pieces begin to merge, the final picture will become clear. Then you will find My Presence everywhere – all of which is linked to every authentic holy mission granted to the world by My Father, until finally the whole Truth will become clear to everyone. My Father promised that He would reveal to the world the Truth, through the Book of Truth, as foretold to the prophets Daniel and John the Evangelist. My Father brings you the Truth at this time now, but He does it piece by piece, little by little until the final part makes up the whole. Only then will the Book of Truth make sense. Only then will the final hurdles be overcome, when the majority of humanity will sing and rejoice in anticipation of My Second Coming. Only when My Mission is completed will the Great Day be announced to the world. Go in peace and know that when you place all your trust in Me, that I can complete the final part of My Father’s Covenant and take you into the Realm of His Almighty Kingdom. My dear child, let it be known that I will make one more appearance at all the Marian grottos, which were approved by my Son’s Church, over the centuries. I will make myself known in Sacred sites, which will include Lourdes, Fatima, La Salette and Guadalupe. I will also appear at Garabandal. These apparitions will begin this Spring, just as my Son has instructed. I will be seen, by chosen souls, with the sun behind my head. There will be twelve stars encircled and woven around the crown of thorns, which was worn by my Son during His Crucifixion, placed upon my head, as a sign for all to follow my example. My role is to lead all of God’s children along the Path of Truth and take them to my Son. When these apparitions take place, there will be no doubt, especially amongst those who pay homage to me, that I speak the Truth when I say that soon the final Path, which will bring you to my Son, in these the end times, will be through the Book of Truth. When you follow me, your Mother, I will take you and guide you towards my Son. My Son has promised many miracles, so that He can open your eyes to the prophecies He gave the world, through my own Mission. Many do not accept that I appeared at these special apparition sites and dismiss their importance in the salvation of souls. When I appear one last time at these sites and present myself as the Mother of Salvation, you will know then that this Mission is my last and that all apparitions lead to this final one to bring the world the Salvation, which is the birthright of every single person. Rejoice, for these days are close and when you hear of these things, then know that this prophecy, when fulfilled, could only have come from me, your beloved Mother, the Mother of Salvation, Mother of God. Now, as I have revealed previously, I was told by St. Gabriel the Archangel in January 2017, what the Great Miracle of Garabandal consists of, but I was never shown a vision. It is quite an extensive Miracle and highly Eucharistic in nature. I know that it will prove the Real Presence of Our Lord in the Most Holy Eucharist, but honestly, I do not know if people will have the opportunity to see Jesus as He really Is in Heaven, as I was not shown a vision, etc. However, because it will prove the Real Presence of Our Lord in the Most Holy Eucharist, that is why God the Father commands Pope Francis to be present at the Great Miracle (as I wrote in my Appeal to Pope Francis for after The Warning). If Pope Francis witnesses the Great Miracle of Garabandal, I know that it will be his greatest joy as a Jesuit priest and I believe it will prevent the Abomination of Desolation from happening, as well as halt the Great Apostasy, etc. That is one of the reasons I remain hopeful that much of the suffering during the Great Tribulation can be mitigated, etc. Well, in this brief blog post, I want to say that there is a connection between why the Great Miracle takes place above the Pines in the skies of Garabandal, and why the Pines were first planted at Garabandal. 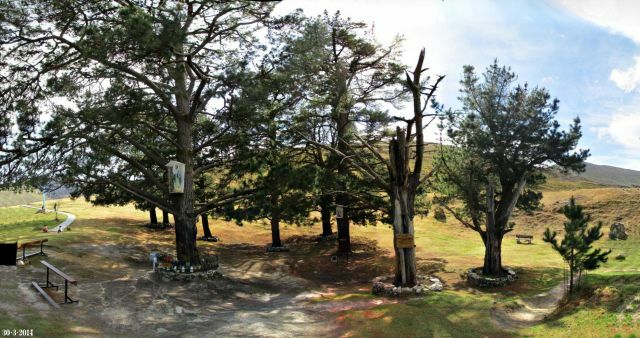 The Pines are very special to God because of what they represent and that is why the Great Sign of Garabandal will be left at the Pines and not someplace else in the village of Garabandal. I have a link below to a very good article that tells the story of the Pines at Garabandal, which I suggest people read. My dearly beloved daughter know that just as I instruct you to prepare humanity for the salvation that is rightfully theirs so, too, does the evil one prepare souls. He prepares false prophets to deceive God’s children so that they will accept the antichrist as their Jesus. This wickedness is difficult for you to comprehend but with the Gift I have given you to read souls you will know instantly who these false prophets are. They will always target you My daughter in the most devious ways for you will be their number one adversary. Yet, their lies, couched in what will seem to be like the Holy Words of God, hide the biggest lie of all. They will declare that the false prophet will be the true Pope. They will declare, subtly at first, that the antichrist will be Christ the King. When they seduce poor souls that their messages come from God, such souls will be none the wiser. I must warn all of God’s children. I will never come in the flesh the second time. I will not appear in the world as a leader. Nor will I, this time, perform miracles to prove to you who I am other than the miracle of The Warning and the miracle in the sky, which will be seen some time after The Warning takes place. The antichrist will claim he is Me, Jesus Christ. This abomination has been foretold. Who to believe children is no easy task for many will come in My Name. But know this. 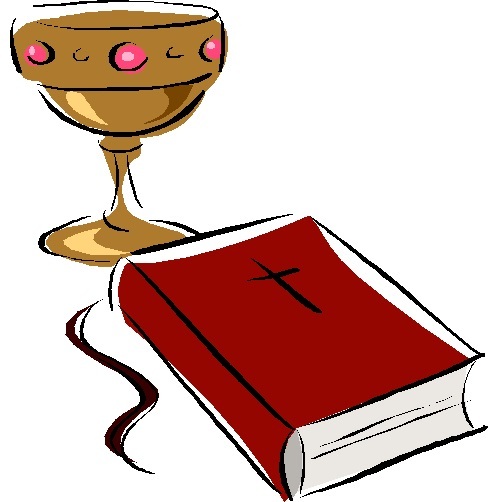 The evil one, through his false prophets, will never tell you to pray to the Holy Spirit or receive the Sacrament of the Holy Eucharist. He will never admit that I, Jesus, the Son of Man came as the Messiah in the flesh to redeem man from sin. He will never ask or encourage you to say the Holy Rosary or show allegiance to My beloved Mother. Be on your guard. Stay awake and only follow My instructions. The evil one is trying to form an army amongst my followers. Although his other army is well established on earth he now targets those who believe in Me, your Jesus, because he wants to hide his evil deeds behind holy people. He will use their love for Me as a shield to hide the lies he intends to inflict upon the world. Trust in My Words and do not deviate from the Truth as it is being given to you, through these My Holy Messages to the world at this time. As I have revealed, earlier this year in January 2017, I was told by St. Gabriel the Archangel what the Great Miracle and Great Sign of Garabandal consist of, although I was not given a vision. I was also told about the Great Sign of Medjugorje. And so, I have been giving hints and clues about them, in order to build up suspense for both gifts from God. Although this hint will not make sense to people, the best description of the Great Sign of Garabandal, are the “four living creatures” that are before the Throne of God that do not stop exclaiming day and night, “Holy, holy, holy is the Lord God almighty, who was, and who is, and who is to come.” (Book of Revelation, Chapter 4, Verse 8). The Great Sign of Garabandal is something that gives Great Glory to God; and because I know exactly what it is, I believe it is something very sacred in the Eyes of God. Now, the seers at Garabandal have said these words: “there would be a permanent sign at the pines that everyone will be able to see and touch but not feel.” However, I have to take exception to what they have said. I believe that people will be able to see the Great Sign, but not touch it or feel it. It is because I know the exact nature of what it is, I believe due to its sacredness, that the Great Sign is too holy for people to touch. Everyone can see it but not touch it. That being said, the Great Sign of Garabandal involves light, so even though I never saw a vision of it, I think it will either be all-light or like smoke—something you can see but not directly touch. The Great Sign definitely has an ethereal aspect to it. And so, that’s my clue. God bless! Jesus is blessing me now. As followers of this blog, MaryRefugeOfHolyLove, know, last January 2017, God and Our Lady gave me several special graces that were totally unmerited by me, a soul. One of those special graces was foreknowledge of what the Great Miracle of Garabandal will be. It was a wholly unexpected grace that I continue to not be deserving of knowing. Well, Jesus is blessing me again by giving me the joy of sharing once again with blog followers another clue about the Great Miracle. This truly is a joy for me when Jesus allows me to do this, because it is akin to giving gifts to people that I truly care about and treasure in my heart. I have been so continually blessed and encouraged by all the daily prayers and loving support from all blog followers of MaryRefugeOfHolyLove. I am truly grateful for everyone. This clue is my special gift for you all today. So far, I have tried to give as varied descriptions in the separate clues that I have given to date. The reality is the Great Miracle of Garabandal is really huge and all-encompassing. There are so many aspects about the Miracle that it is hard to capture it all in human words. I do not want to give away everything about it, because I do not want the spoil the surprise for everyone. But, the fact is, I know that the clues that I have given so far do not make sense because they are so broad in scope. Well, today’s clue is no different. It is open to wide-interpretation, but I promise you all that when everyone witnesses the Great Miracle for themselves, all the clues will come together and finally make sense. Meanwhile, it is at least fun to ponder for awhile. Every man, woman, and child knows how to dream and has dreams for the future. God created mankind to be dreamers. To dream for and reach the stars in Heaven. And when each of us prays, we ultimately seek for our dreams to be answered by God. The truth is God creates every man, every woman, and every child in His Image and Likeness. And when God creates mankind to be dreamers, it is because God Our Heavenly Father Is the Biggest Dreamer of All. The question for today’s clue is this: if Our Heavenly Father Is the Biggest Dreamer, what would God dream for? The answer is found at Garabandal. The Miracle of Garabandal Is Truly So Great because it is the witnessing of all the Sweet Dreams of Our Heavenly Father coming True. Dear children, I am your Mom and I come from heaven to call you to conversion. Don´t live far from Jesus. He alone is your Way, Truth, and Life. I know what you need and I will speak to My Jesus for you. Be docil. Fear not. Fully confide in the Goodness of The Lord and you will be spiritually rich. I ask you to keep the flame of faith alive within you and testify everywhere that you belong to The Lord. Show everyone by your words and example that God is truth and that God exists. When you feel the weight of your cross, call Jesus. You will encounter your victory in Him. Humanity has gotten away from God and is heading towards a great abyss. Return. The Lord is calling you. If you are reconciled with God and your neighbor you will very soon be spiritually cured. Don’t be frightened. God will work a Great Miracle for mankind. Humanity will have a great chance to return to The Lord. When the Great Sign comes, all eyes will see it. People will have a chance to repent. It will be a grandiose miracle and many will be converted. Forward without fear. Don´t get away from prayer. 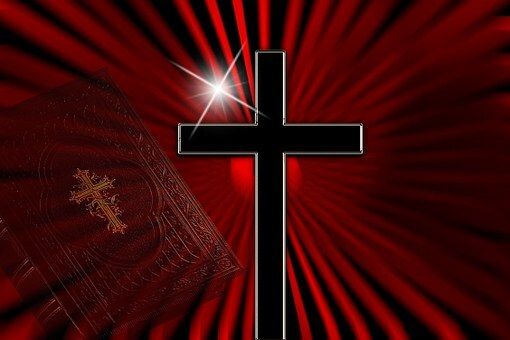 This is the message which I transmit you today in the name of the Most Holy Trinity. Thank you for allowing me to reunite you here once again. I bless you in the name of the Father, the Son and the Holy Spirit. Amen. Stay in Peace. Dear Sons and Daughters, I am your Mom and I come from heaven to lead you to My Jesus. Be docile and seek to imitate My Son Jesus in everything. Be filled with courage, for this is the only way you can contribute to the conversion of mankind. I know each one of you by name and I know what you need. Fear not. You are not alone. Happen what may, don´t back away. Your victory is in the hands of The Lord. Open your hearts to Him Who sees what is hidden and wants to save you. Show the world by words and examples that you are faithfully with The Lord. Listen to Jesus and you will be led to holiness. Flee from sin and, repented, rejoice in the Grace of The Lord. I am your Mom. God sent Me to you to bless you and point out the way. Receive the gospel of My Son with joy. I don´t want to force you, but listen to Me with docility. Fully trust in The Lord. Nothing is lost. Joyful days are coming for the chosen people of God. God will send a Great Sign to people who have gone away from God. It will be a chance for all those who decide in favor of God. The triumph of The Lord will happen and those who are chosen will contemplate that which human eyes have never contemplated. It will be the time of the definitive triumph of My Immaculate Heart. Forward without fear. This is the message I transmit to you today in the name of the Most Holy Trinity. Thank you for permitting Me to reunite you here once more. I bless you in the name of The Father, and of The Son, and of The Holy Spirit. Amen. Be at Peace. Dear Sons and Daughters, have confidence, faith, and hope. Fully trust in the power of God and let His grace transform your lives. The Lord will show His power in favor of mankind. The Lord loves you and calls you. Don´t just stand still. God will send a Great Sign to mankind and all eyes will see it. Gold will be in the heights, and flames will cross the sky. When God calls He wants to be heard. Bend your knees in prayer and you will understand the signs of The Lord. This is the message I transmit to you today in the name of The Most Holy Trinity. Thank you for permitting Me to re­unite you here once more. I bless you in the name of The Father, and of The Son, and of The Holly Spirit. Amen. Be in peace. Dear Sons and Daughters, humanity will be surprised when The Lord permits people to contemplate the greatness of His alliance. That which is hidden will become visible. Great mysteries will be revealed and humanity will become conscious that peace and love are necessary for a faithful living of the word of God. Live turned towards paradise for you were created only for it. Remain firm in prayer. Live in grace and flee from sin. This is the message I transmit to you today in the name of The Most Holy Trinity. Thank you for permitting Me to reunite you here once more. I bless you in the name of The Father, and of The Son, and of The Holy Spirit. Amen. Be at peace. Dear Sons and Daughters, when the great day comes when The Lord will give people a great chance to return to His Love, an Angel of The Lord will touch the sky and it will change color. The mountains will descend and people will contemplate an infinite beauty. The Lord will be present in the hearts of those who open themselves to His call. It will be on the day of the Great Sign. 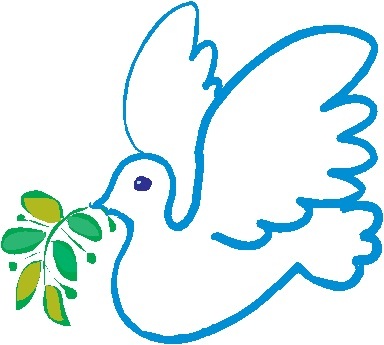 The world will be at peace. The Lord will dry your tears and you will see the powerful hand of God in action. Pray. Be faithful to the gospel of My Jesus. Open your hearts to My call. Don´t cross your arms. Don´t leave what you have to do for tomorrow. This is the message I transmit to you today in the name of The Most Holy Trinity. Thank you for permitting Me to reunite you here once more. I bless you in the name of The Father, and of The Son, and of The Holy Spirit. Amen. Be at peace. Dear Sons and Daughters, confide in the infinite goodness of The Lord and await Him with joy. The Lord will not abandon you. Return to Him Who sees what is hidden and knows you by name. Flee from all evil and be only of The Lord. Pray. Don´t get away from prayer. I am your Mom and I suffer because of your suffering. Humanity lives in great tension and is heading towards an abyss of destruction which people have prepared with their own hands. The Lord will permit people to see a marvel hidden in the universe: behold the name of Him who lives and reigns forever. Rejoice, for your names are already written in heaven. Forward without fear. This is the message I transmit to you today in the name of The Most Holy Trinity. Thank you for permitting Me to reunite you here once more. I bless you in the name of The Father, and of The Son, and of The Holy Spirit. Amen. Be at peace. Dear Sons and Daughters, live in the liberty of true sons of God and don´t permit the devil to enslave you. You belong to The Lord and should follow and serve Him alone. Change your life. Flee from sin and return to Him Who is your only Way, Truth, and Life. I come to lead you to My Jesus. Don´t be frightened. Even in tribulations, don´t lose heart. Victory will belong to The Lord. The light which will illuminate and make the Church victorious will come from the tabernacle. A Great Miracle will occur and the Triumph of God will occur in the presence of many people. Don´t back out. God has everything under control. My Jesus died on the cross for His Church; He died to save His people. The Church will go through Calvary, but will rise victoriously. Forward with joy. This is the message that I transmit to you in the name of The Most Holy Trinity. Thank you for permitting Me to reunite you here one more time. I bless you in the name of The Father, and of The Son, and of The Holy Spirit. Amen. Be in peace. Dear Sons and Daughters, on the feast day of a great saint, a treasure will be given to the Church, and the faithful will rejoice and praise God. Joy will come from the root. Behold, the times I foretold in the past have come. Be faithful. Open your hearts. Follow Me in the way of prayer, humility, and the living of the gospel of My Jesus. I am your Mom, and I want to lead you to docility. I ask you to be meek and humble of heart. I don’t want to obligate you, but I ask you to joyfully live what I am saying. Don´t let the flame of faith go out within you. Courage. This is the message that I transmit to you in the name of The Most Holy Trinity. Thank you for permitting Me to reunite you here one more time. I bless you in the name of The Father, and of The Son, and of The Holy Spirit. Amen. Be in peace. Dear Sons and Daughters, I am your Mom and I come from heaven to call you to conversion. Open your hearts. Don´t let the devil take you away from the Grace of My Son Jesus. Belong only to The Lord, for He alone is your only Way, Truth, and Life. You live in a time of great spiritual confusion. Seek strength in The Lord. Accept My appeals and you will be great in the faith. Don´t back away because of your difficulties. God is at your side. Courage. Know that The Lord sees all. Be honest is your actions. Be sincere in your faith. A Great Sign will appear in the sky of Europe on the feast of a great saint. People will not have an explanation. Pay attention to the signs of God. Don’t be frightened. Those who are with The Lord will never be defeated. This is the message I transmit to you today in the name of The Most Holy Trinity. Thank you for permitting Me to reunite you here once more. I bless you in the name of The Father, and of The Son, and of The Holy Spirit. Amen. Be at peace. After the Great Warning (Illumination of Conscience) occurs, all people will know true right from true wrong in their lives. However, there will be much confusion afterwards, as many people will not know the direction that Heaven wants earth to take. This is because most people will have seen the fires of hell in their life review. And, in particular, Christians will not know which denomination is the True Faith. However, it is the hope of Our Heavenly Father that the subsequent Great Miracle and Great Sign of Garabandal, which will happen within a year of the Warning in the Springtime, will help mankind to understand the desires of Heaven. And, in particular, Christians will be shown clearly that the Tradition of Faith (Catholic Church) is the True Faith of God and mankind will know the steps that need to be taken to avoid the Great Chastisement and to prepare for the Second Coming of Our Lord, Jesus Christ. The period between the Warning and the Miracle of Garabandal will be critical to the future of mankind, as the six Medjugorje visionaries and Conchita of Garabandal will be testifying on the Great Chastisement (Tenth Secret of Medjugorje), which they will have witnessed during the Warning. All mankind needs to understand the seriousness of the times that we are living in and that all mankind will be subject to the Great Chastisement if mankind does not repent and convert back to God. Everyone must be told of the forthcoming Miracle of Garabandal in the Springtime, including Pope Francis, Pope Benedict XVI, U.S. President Donald Trump, and U.S. Vice-President Mike Pence, because these four people wield much world power and authority and are essential characters in avoiding the Great Chastisement from God. Through the witnessing of the Great Miracle, these four key individuals will know what God expects of them and what they need to do to further the Divine Plan. God bless! Pray hard that man chooses the first. For if he doesn’t, the world will suffer the most severe chastisement with much of it wiped out. Why would My children wish this? Yet, because of sin, man will sadly choose to ignore My promise and follow the path of the deceiver. I have told you, I will not give you a date for The Warning, for this is known by only a few chosen souls. For if this date were to be made public, people would be tempted to seek redemption out of a sense of false humility. Trust in Me. All will be well, children. You are blessed to be given this wonderful Gift of Revelation. The world will now seem to become quieter and somewhat strange in the coming months leading up to The Warning. For when it happens, spectacular though it will be visually in the sky, so quiet will this mystical experience be, that you will be more prepared for this silent encounter with your own conscience. God Is Amazing. I was inspired to do a little research on Our Lady of Fatima, and now, because of my discovery, I have been sitting here stunned saying, “Oh, My God!” over and over again, because I have been in shock over my finding. However, before I can share what I ultimately discovered, I have to share first other interesting pieces of the puzzle that Our Lord and Our Lady revealed to me tonight, just as I have been writing about lately on this blog, MaryRefugeOfHolyLove. As followers have been reading, I have been writing many commentaries on the Secrets of Fatima, La Salette, Garabandal, etc. Well, this special commentary continues sharing the mysteries that Heaven has been having me reveal to everyone. Truly, dear readers, I am not worthy of this honor of revealing such secrets to mankind. At times, I look at myself and simply say, “Me? Who am I?” Yet, I continue to write simply because I know it is the desire of My Love. And so, this special commentary is about what Our Dear Lord and Our Dear Lady have been having me contemplate this evening. I pray everyone is blessed by my words! And in that commentary, I wrote a bit about two messages from the Book of Truth given to 7th Messenger, Maria Divine Mercy, in which both Our Lord and Our Lady promised that Our Lady would make one final appearance at all her approved apparition sites in the Catholic Church. The promise has yet to be fulfilled, but Our Lady indicated that She would appear in the Springtime, and so, I speculated in that commentary about how this might happen after the Great Warning (Illumination of Conscience), before the Great Miracle of Garabandal occurs—which is also prophesied to take place sometime in the Spring season. And so, that is my first pleasant discovery: Our Lady promised at Fatima in 1917 to make one final appearance at the site of the apparitions for the faithful. And this promise perfectly lines up with the promise Our Lady makes in the Book of Truth about making a final appearance at all Her apparition sites, including Fatima. Praise be to God! Now, I wrote about this little-known fact on my sister blog, which I do not often post on—MaryRefugeOfHolyLove is my main blog. However, I want to share this fact in this writing, as it is another important connection between Our Lady of Fatima and Our Lady of Garabandal. Well, when the Miracle of the Sun was taking place before the crowd of 70,000 people in Fatima on October 13, 1917, the three visionaries were having a separate series of visions. They were actually witnessing a series of heavenly scenes involving Our Lord, Our Lady, and St. Joseph. (See: 100 Years of Fatima – Sixth Apparition of Our Lady, https://www.ewtn.com/fatima/sixth-apparition-of-our-lady.asp). And, in the final scene, Our Lady appeared dressed as Our Lady of Mount Carmel with the Baby Jesus, as She said these words while waving to them: “Good-bye until San Sebastian, Spain!” And when the three visionaries relayed Our Lady’s words to all, everyone thought that Our Lady would appear at the big coastal city, San Sebastian, Spain, someday. However, when Our Lady finally did appear in Spain in 1961, it was to the four visionaries living in the tiny remote village of San Sebastian de Garabandal. And She was dressed in the same manner as She was at Fatima – as Our Lady of Mount Carmel with the Baby Jesus in Her arms! And so, I wanted everyone to know that fact, as it is a very interesting connection between Fatima and Garabandal that most people do not know. Also, related to this topic, is the reason why I was prompted tonight to do my research on Fatima. I was prompted to research more information about the heavenly scenes that the three visionaries saw during the Miracle of the Sun. Now, as blog followers know, back in January 2017, St. Gabriel the Archangel told me what the Miracle of Garabandal and related Great Sign are. However, I was not given a vision of the Miracle or Sign. But, I believe that the vision of heavenly scenes by the three visionaries during the Miracle of Fatima are a clue as to what to expect during the Miracle of Garabandal. Many people are expecting the Miracle of Garabandal to be a great cosmic or great natural event, similar to the Miracle of the Sun at Fatima. Now, while there will certainly be great spectacular sights in the sky, I want people to think “bigger” than simply a natural event like the sun rotating, etc. Because, honestly, the “focus” of the Miracle of Garabandal should not be on the great natural events that people will be witnessing simultaneously while it happens. The Miracle of Garabandal is huge and people need to think “outside-the-box” if they want to figure it out. So, that’s my clue for the Miracle of Garabandal in this writing! But, I want to share a few descriptive messages from Our Lady of Anguera to seer, Pedro Regis (https://www.apelosurgentes.com.br/en-us), about the Miracle of Garabandal, to help build suspense for it. As people are going to really love what they see when it is time for it. Truly, it will be one of the greatest Miracles that Our Lord, Jesus Christ, will have performed for the world. And then, after the messages from Our Lady Anguera, I will share finally what I discovered tonight that made me say “Oh, My God!” over and over again. Now, when I read that statement by Jacinta mentioning the “chastisement,” I became momentarily confused, as the revealed Secret of Fatima does not mention the word, “chastisement.” Then, it dawned on me, that Jacinta was referring to the hidden part of the Third Secret of Fatima that mentions the chastisement in the Secret of La Salette! Now, I, a soul, am not a Fatima scholar, so perhaps, others have already made the connection between Jacinta’s final words and the hidden part of the Third Secret of Fatima, revealed to a French priest in 1994. But, me? I am just a simpleton. But, back in Fall 2015, I wrote an extensive commentary about the hidden part of the Third Secret of Fatima saying that I believed it to be authentic. (See The True Third Secret Of Fatima, The Prophecies Of Garabandal And The End Times – By a soul, https://maryrefugeofholylove.com/our-lady-mary-queen-of-heaven/the-true-third-secret-of-fatima-the-prophecies-of-garabandal-and-the-end-times/ ). However, it’s one thing to write commentaries about what you believe the Third Secret to be, and quite another matter, to be given proof by Heaven by way of someone’s dying words what the hidden Third Secret of Fatima is. I was (and still am) in awe of this confirmation—a true blessing for me and you, my dear followers, as you read all these commentaries I have been writing lately about the various Secrets, etc. And so, those are my lovely thoughts and conclusions for tonight. I pray that my writing is helpful to all who read it. God bless!